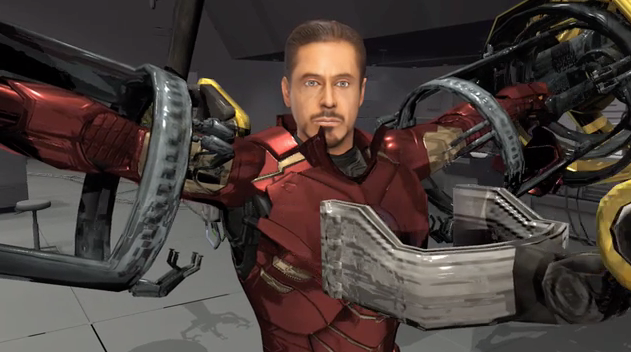 I was the character rigger for the Iron Man 2 video game developed by Secret Level / SEGA studios San Francisco. I was responsible for character, vechicle, and combatant rigs, Havok Behavior animation state machines, modifying and appending to the MEL scripted automated rigging system, and supporting modeling, animaton, and cinematics teams with tools and workflow solutions. I was responsible for developing this ‘Suit Up’ sequence in the game as a cinematic after the player had selected what IronMan suit load-out they chose to play. It was created in a modular way so that different types of armor could be loaded in the cinematic onto either Tony Stark as IronMan or Rhodey as WarMachine. 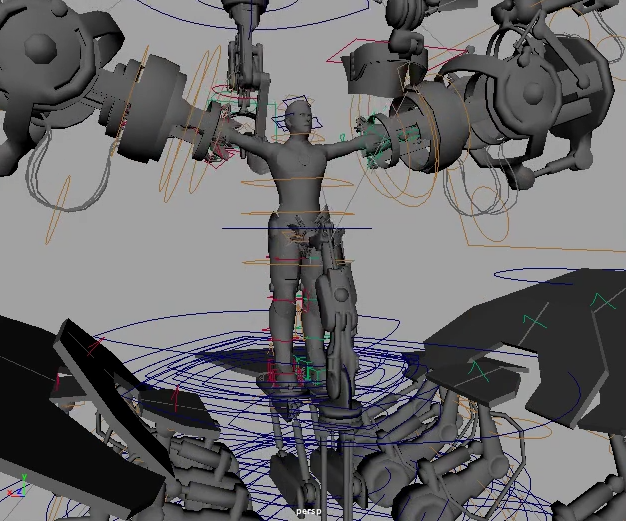 Below is the control rig breakdown of the ‘Suit Up’ sequence.